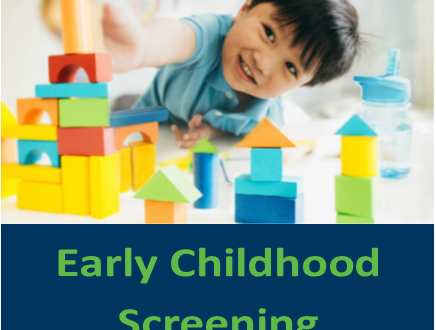 January 3, 2019 – Tillamook County’s Early Childhood Screening Fair will be held January 23-24, 2019 at the Tillamook County Fairgrounds. All Tillamook County children ages 2 to 6 years of age are encouraged to participate in this comprehensive screening fair, which is provided free of charge. This one-of-a-kind program, sometimes referred to as “Multi-mods,” has been a feature of Tillamook County for 48 years. Since that small beginning in 1971, more than 20,000 Tillamook County kids have been served. At the 2018 screening, 78 children from all around Tillamook County received free screenings in 12 health and developmental areas, with referrals made for follow up with professional providers in 90 identified areas of concern. The value of screening services provided per child is more than $1,000 each. Community partnerships, generous in-kind and financial donations, along with more than 100 volunteers both locally and from Portland-area university programs make it possible to offer these services free of charge to our community’s young children to help ensure they begin school as ready to learn as possible. Adventist Health Tillamook is honored to lead this community-wide project, which can only be accomplished through the support and involvement of so many local and regional partners, including OHSU, the school districts, the NW Regional ESD, Head Start Centers in Tillamook County, the Tillamook County Health Department, OSU Extension Office, and more. To schedule an appointment for your child, please call 503-815-2292. Door-to-door transportation available. Ask when you call. Walk in appointments are welcome both days until 1 pm.